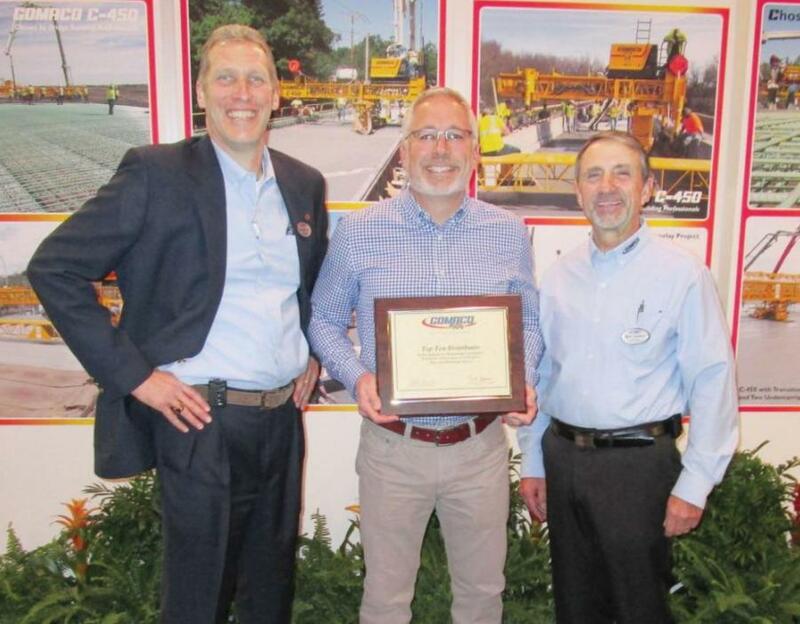 (L-R) are: Brad Barkema, GOMACO North Central United States district manager; Park Allison, American State Equipment Company; and Bob Leonard, GOMACO United States and Canada sales manager. 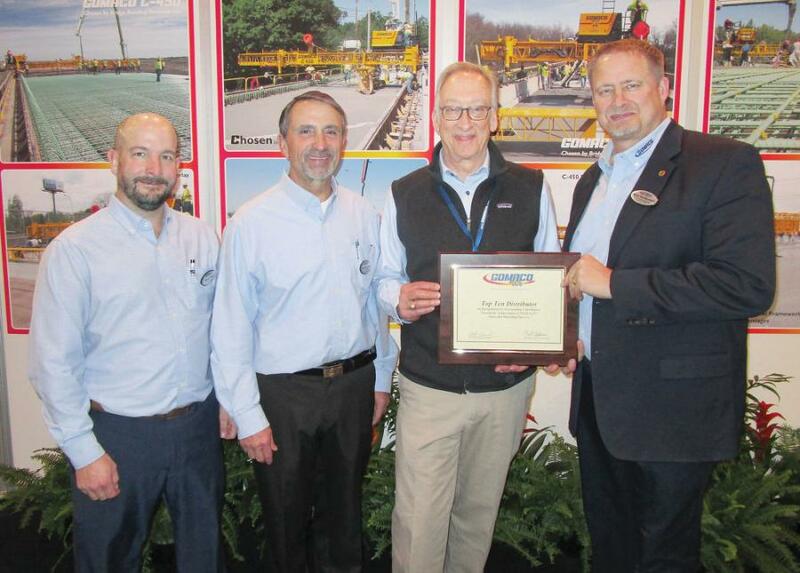 Gomaco Corporation recently recognized Top Ten Distributors for sales in the 2018 fiscal year. 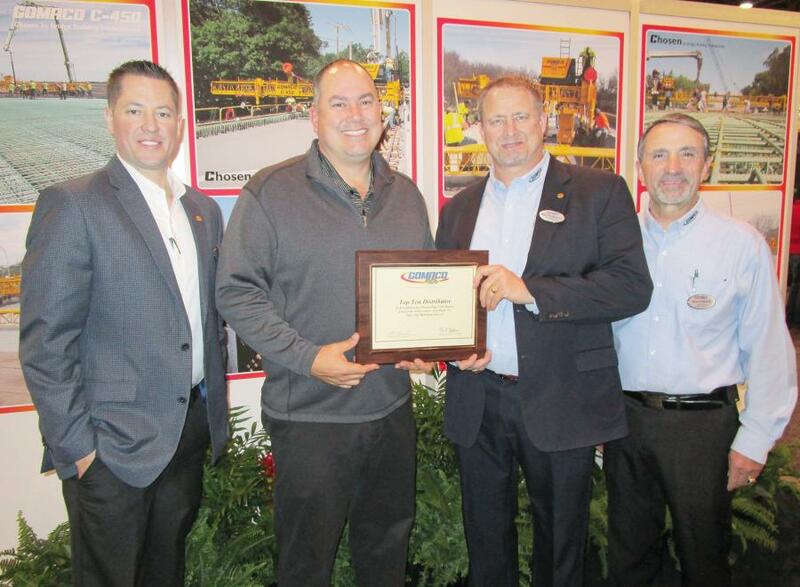 The awards were presented in recognition for outstanding sales and distribution of Gomaco equipment in the United States. Terry Equipment Inc. is headquartered in Bloomington, Calif., with branch offices in Sacramento, Calif., and Las Vegas. 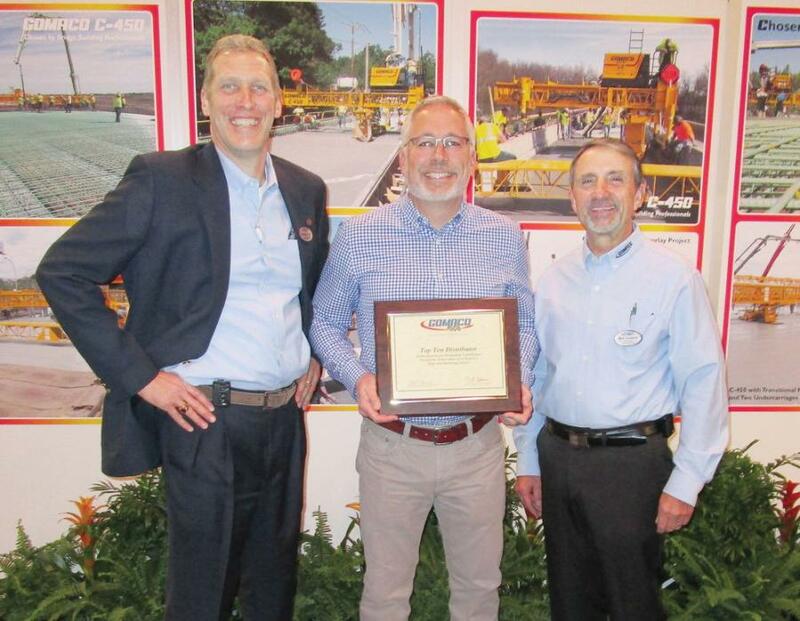 Hayden-Murphy Equipment Company is headquartered in Minneapolis, Minn.
(L-R) are: Brad Barkema, GOMACO North Central United States district manager; Park Allison, American State Equipment Company; and Bob Leonard, GOMACO U.S. and Canada sales manager. American State Equipment Company is headquartered in Milwaukee, Wis., with a branch office in Wausau, Wis.
ROMCO Equipment Company is headquartered in Dallas and Houston, Texas, with branch offices in Longview, Buffalo and Ft. Worth, Texas. 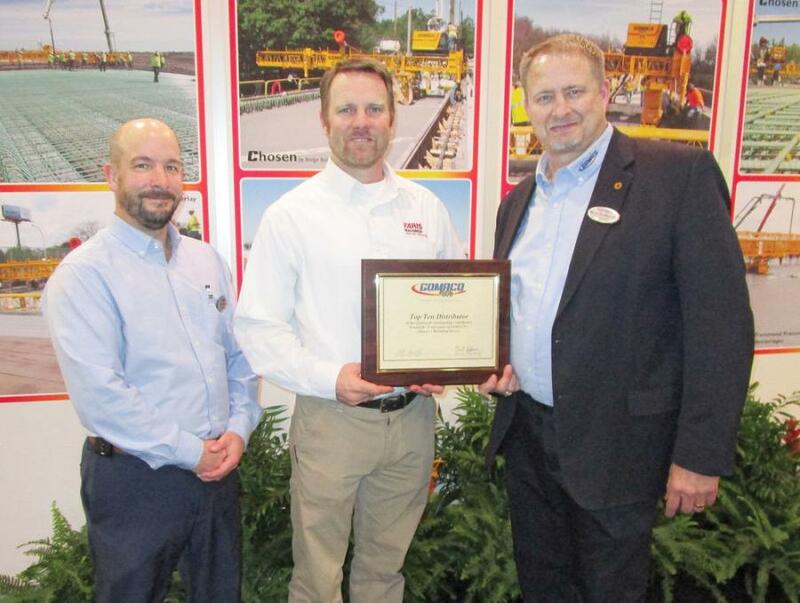 Road Machinery and Supplies Company has offices in Des Moines, Cedar Rapids and Sioux City, Iowa, and in East Moline, Ill.
(L-R) are Bryan Beck, GOMACO Southwest U.S. district manager; Bob Leonard, GOMACO U.S. and Canada sales manager; Bennett Closner, Closner Equipment; and Kent Godbersen, GOMACO VP of worldwide sales and marketing. Closner Equipment Company is headquartered in Schertz, Texas, with a branch office in Manor, Texas. Berry Tractor and Equipment is headquartered in Wichita, Kan., with branch offices in Garden City and Topeka, Kan.
Carolina Tractor and Equipment Company is headquartered in Charlotte, N.C., with branch offices in Greensboro, Asheville, Monroe and Newton, N.C.
Faris Machinery is headquartered in Commerce City, Colo., with branch offices in Colorado Springs and Grand Junction, Colo.
American State EquipmentAwardsBerry Tractor and Equipment Co.Business NewsClosner Equipment Company Inc.Faris Machinery CompanyGomacoHayden-Murphy Equipment CompanyRoad Machinery & Supplies Co.ROMCO Equipment Co.
American State Equipment Awards Berry Tractor and Equipment Co. Business News Closner Equipment Company Inc. Faris Machinery Company Gomaco Hayden-Murphy Equipment Company Road Machinery & Supplies Co. ROMCO Equipment Co.